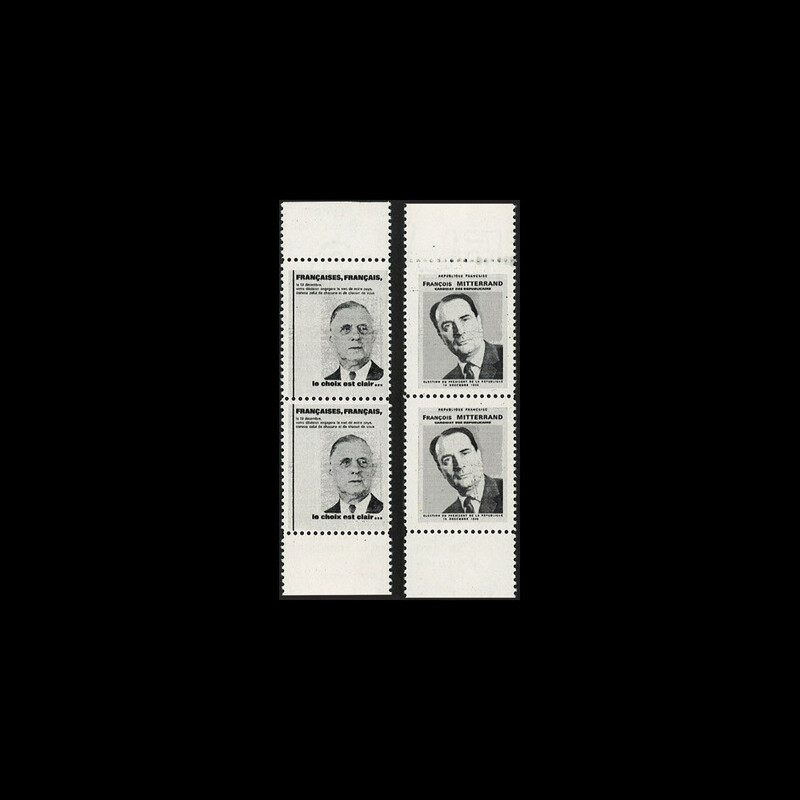 N°PRES65-1V : 2 pairs BOARD OF SHEET of the 2 perforated labels "Candidate de Gaulle" and "Candidate Mitterrand"
These stamps were printed in haste on recovered paper not gummed. PRES65-1A : 1965 - FDC "1st presidential election by direct universal suffrage"
PRES65-1B : 1965 - Service env. "1st presidential election by direct universal suffrage"